Following their promotion to the BT Premiership for 2016/17, Watsonians have announced that their coaching team of Marcus Di Rollo and Simon Taylor will be staying in charge for another year. 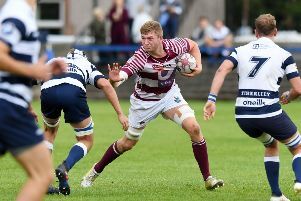 The former Scotland caps managed to get the best out of their players in BT National League One this term. Di Rollo, 38, took over as head coach at Myreside back in 2010 while Taylor, 36, joined the club in 2014 as a player and then moved into the forwards coach role. Forbes Connor has become director of rugby at the club whilst continuing his duties as team manager for the first XV.